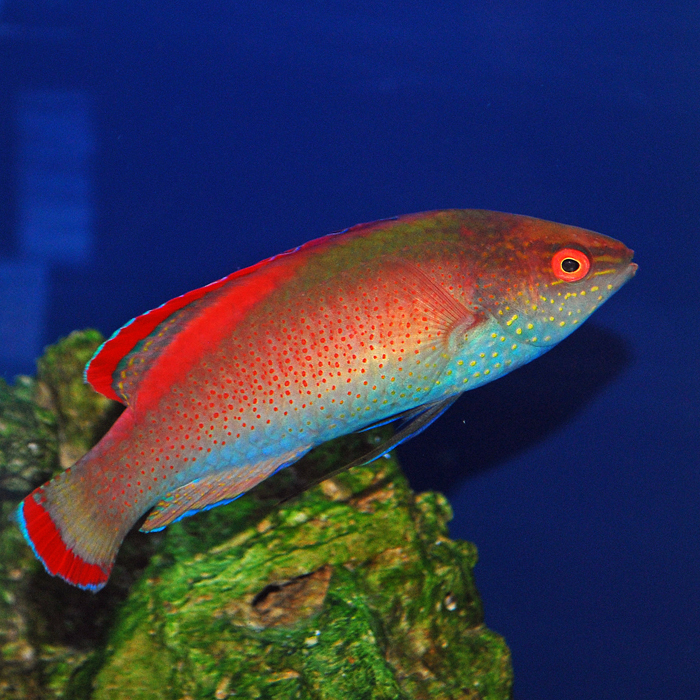 The Pink Margin Fairy Wrasse is arguably one of the most beautiful wrasses available. Females and juveniles have a light pink body with a bright pink margined dorsal fin and eyes. Males are more colorful with vibrant pink and yellow spots, dorsal fin, and caudal fin. They are reef safe and won’t pick on corals or invertebrates. This species is peaceful, but use caution when housing it with other similar wrasses. Please use a tight fitting canopy or lid, as this species will jump out of the aquarium.